It's been a long time coming! 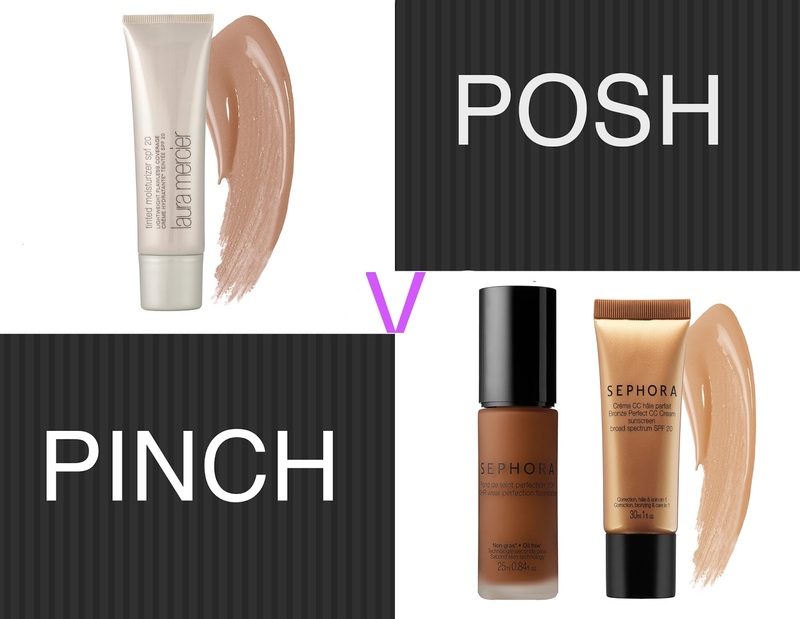 I've been on the hunt for the prefect and affordable foundation for what seems like years. I found it a while back in Laura Mercier's Tinted Moisturizer but the price started to get a little too steep for me. Especially since I constantly mixed it with my Stila Illuminating Beauty Balm so I was using twice the amount of products to achieve the same result. When I was in NYC this summer I decided to give Sephora's 10 hour Wear Perfection Foundation a try to see if I could find the perfect shade and I was so happy to find that I did! Not only did I grab that but I also tried it with their Bronze Perfect CC Cream and it was affordable heaven! Now I know that my go to Laura Mercier product isn't a foundation but it acts like one for me. It supplies me with enough coverage while leaving my skin looking totally natural. the only complain that I ever had with it was that I sometimes felt like my skin looked really flat so I would use an all over face bronzer my Bare Minerals to give my skin that extra kick. The cost of the product was never really an issue for me because I was fine paying just a bit more for a single product that worked well. But after realizing that I also used a bronzer the cost kinda went up so the search began. It took a few tries for me to find the right shade of the Sephora foundation and I've started to use it without the addition of the CC cream but with just a moisturizer with SPF instead since it is something that the tinted moisturizer has over this one. All in all the cost comes out to be more beneficial for my wallet with the Laura Mercier at $43 and my Sephora combo now coming out to $31 thanks to a sale on the CC cream. I now just have to see if I'm 100% happy with the results. So far I did leave my mark on my boyfriends shirt the other day but that could have been because I just got ready right before he arrived and we hug a bit too much, so we shall see. I'll let you ladies know if I've found a suitable and affordable replacement or not! I am as sometimes writer with an addiction to skincare products. Oh! And I love to be in the kitchen switching up conventional meals.